BREVARD COUNTY • MELBOURNE, FLORIDA (NASA.gov) – Much of the United States will be treated to a rare combination supermoon and lunar eclipse on Sunday night, Sept. 27. Since the next celestial event of this kind won’t happen until 2033, you might want to preserve the memory with a great photo. Enter Bill Ingalls, NASA’s senior photographer and a fixture at NASA Headquarters, with a salt-and-pepper ponytail and a ready smile. 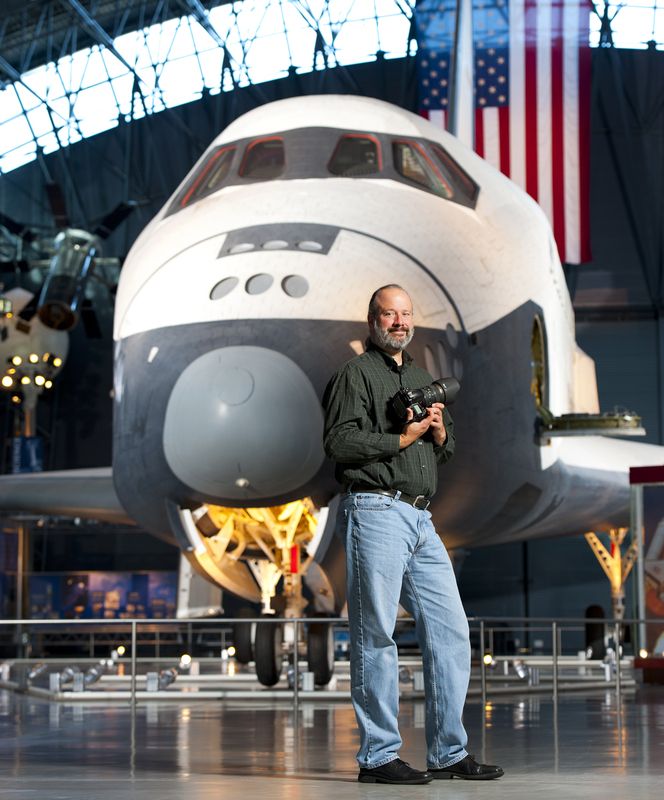 Bill has traveled all over the world for more than 25 years photographing missions for NASA, but he can also be found right in his own backyard – the DC area – anytime there’s a supermoon, meteor shower or other eye candy in the heavens. Bill’s #1 tip for capturing that great lunar photo: “Don’t make the mistake of photographing the moon by itself with no reference to anything,” he said. Ingalls goes to great lengths to scout out the perfect vantage point to juxtapose the moon with various Washington monuments. He often scouts locations a day or more in advance, getting permission to access rooftops or traveling to remote areas to avoid light pollution. A slight miscalculation can result in a mad scramble; he recalls seeing hundreds of photographers who set tripods hundreds of yards away for a supermoon shot from Washington’s Iwo Jima monument. “I thought my calculations were wrong, but – sure enough – the moon popped up right where I expected, and then came the stampede,” he chuckled. You don’t have to live near an iconic landmark or talk your way onto a rooftop to get the perfect shot. Instead, work with what you have. Ingalls trekked to Shenandoah National Park in 2009 to photograph Comet Lulin and faced a challenge. “I had just basic equipment and saw all these people with great telescopes making a picture I could never get. So what could I do differently?” Ingalls aimed his long lens between the trees, using the red light of his headlamp to paint the forest with a long exposure. The result was magical, with National Geographic naming his comet image one of the top 10 space photos of the year. Ingalls says the Sep. 27 supermoon eclipse can be a great family activity, since it’s not too much past bedtime. He recommends personalizing the experience by using people in the shot. “There are lots of great photos of people appearing to be holding the moon in their hand and that kind of thing. You can get really creative with it,” he said. Unlike a meteor shower or an ISS pass, time is on your side on Sep. 27. The eclipse will last more than an hour, peaking at 10:47 p.m. EDT. So you have lots of time to experiment with different locations, exposure times and foregrounds. Submit your best supermoon eclipse photo on NASA’s Facebook page (entry limited to one per Facebook account). The winning image will be featured as NASA’s cover photo on Facebook and Twitter; it will also be showcased on NASA’s Instagram account and NASA.gov. Watch NASA’s live stream of the supermoon eclipse on Sept. 27 from 8:00 p.m. until at least 11:30 p.m. EDT, broadcast from Marshall Space Flight Center in Huntsville, Ala., with a live feed from the Griffith Observatory, Los Angeles, Calif. Mitzi Adams, a NASA solar physicist at Marshall, will discuss the eclipse and answer questions from Twitter. To ask a question, use #askNASA. Tweet photos with #SuperBloodMoon.